Dental Bonding. Z Dental Group - Beverly Hills Dentist, Los Angeles Dentist. 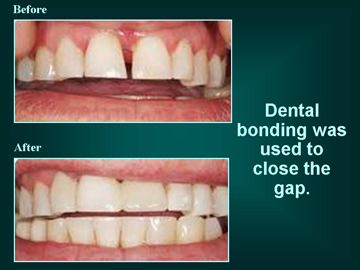 Bonding procedures have greatly improved over the last 10 years and have allowed both patients and dentists to make subtle adjustments to their smiles without the need for a drill. The bonding procedure is the placement of a composite resin material that is custom picked for your tooth shade in order to give you the most natural looking improved aesthetics possible. The tooth is prepared by isolation, the placement of some materials which will allow the tooth colored filling material to bond to the tooth and then a special UV light is used to “cure” the resin material making it hard. 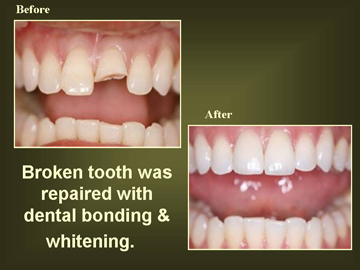 At Z Dental Group dental office, we're commited to providing you with a tooth bonding procedure, which will make you completely happy with the results. Call us today to schedule a consultation.